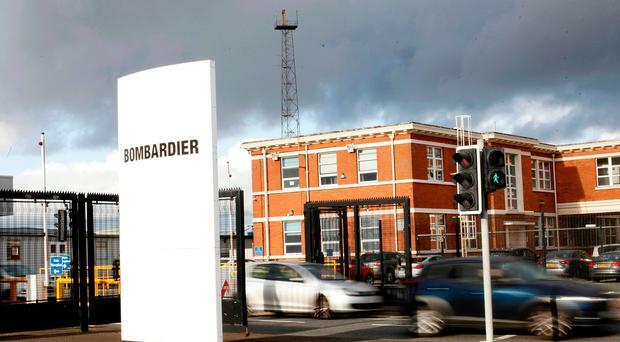 The loss of another 490 jobs at Bombardier Belfast comes as an unwelcome decision as part of an overall restructuring programme in different parts of the Bombardier international organisation. In other announcements from Bombardier in the last two weeks, there is a picture of very considerable efforts to improve the profitability of all the businesses, an emphasis on a search for improved productivity, as well as a series of asset disposals to other businesses. Interestingly, in recent days, Bombardier has announced new orders for parts of its railway transportation equipment assembly business. 153 new metro cars have been ordered for Montreal, 19 Premium intercity trains for SNCF in France and 33 new locomotives have been contracted for a German business in Berlin. In the aero structures business, the report from headquarters on the third quarter financial results has some encouraging sentiments on the sale of business jets in the Global 5,500, Global 6,500, and Global 7,500 series. The consolidated financial report makes no direct reference to the financial performance of Bombardier Belfast. There may be some significance in references to the small profit margin, expressed before any deductions for interest and tax payments, which specifically excludes any losses carried forward as a consequence of the withdrawal of the C-series from Bombardier's accounts. In other words, the losses carried forward from the earlier work on the C-series (below), now transferred to Airbus, are still a negative factor. Bombardier has announced a reduction of 490 employees across the local business. This is the outcome of the detailed internal business forecasting and possible organisational or efficiency changes. Internally, Bombardier will have measured its workload, assessed the scale and prospects for its order book and worked this into a business plan down with financial details alongside the size of an efficient workforce to deliver acceptable results. A feature of business planning at Bombardier Belfast is that increasingly the order book may now be set for shorter periods than in the past. Long-term set contracts were a feature of the more comprehensive work of large-scale assemblies. Delivery schedules, even for the advanced engineering of the C-series wings (now renamed in the A-series) do not necessarily come with a multi-year contract. Indeed, as a subsidiary supplier, regaining contracts for sub-assemblies is now likely to be a more financially stressful process for Belfast. Keeping Bombardier Belfast a busy, successful business has become a critical performance test, only fully understood within the competing parts of the larger Bombardier organisation. The employees, suppliers and other contractors who compete for subcontract work from Bombardier will be acutely aware of these pressures as they, in turn, hope to be efficient enough to get work for themselves, as well as to help the larger organisation win in the larger market. Local senior managers must try to deliver as a competitive local supplier. Labour costs, fluctuating exchange rates and any post-Brexit costs, all set challenging constraints. Productivity, efficiency and the adaptation on new technology must all be part of the slim line modern model. Success will be hard won.